Can't find the product you are looking for? Use the search below. "NHC", "New Holland Construction" or "New Holland Construction Machinery S.p.A." shall mean: any company under common control of CNH Global NV or that manufactures and distributes earth moving machines, equipment and spare parts under New Holland Construction brands, hereinafter “NHC”. ​Company name: New Holland Construction Machinery S.p.A.
L​isted in the Register of Businesses: Company Registered in Turin. TAX and VAT Reg. n​o. 05173800011. Turin REA no. 689260​. ​​​This NHC web site is offered to you, the user ("User"), conditional upon the acceptance of the terms, conditions, and notices contained herein and without any modification. NHC may modify the content or format of this Web site or discontinue the operation of this Web site in its sole discretion and without any advance notice. Your access and use of this site constitutes acceptance of all of these terms and​​​​ conditions. Used Equipment Listings. 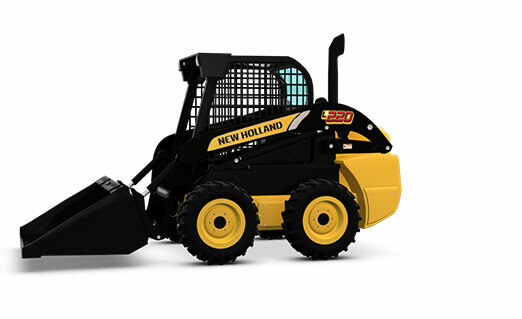 The New Holland Construction Used Equipment website www.nhcused.com​​​ contains records of used equipment inventory of New Holland Construction dealers who are making the offer for sale rather than NHC. ​NHC assumes no responsibility or liability specifically but not limited to any information, specifications, condition reports, photography, availability, pricing, taxes or duties, or warranty information found at such site, or at any link contained in a linked site. Each dealer is responsible for the information contained or not contained within a unit’s record/specification sheet. The User agrees to indemnify NHC, its officers, agents, employees, and other personnel under its control against any and all liability, expenses, attorney fees, and damages arising out of or relating to the use of units purchased through a NHC Used Equipment website, including any claims alleging facts that if true would constitute a breach by the User of these terms and conditions. In all disputes arising out of or relating to the sale or use of any equipment posted to a NHC Used Equipment website, the User consents to the exclusive jurisdiction and venue of courts located in the country in which the dealership selling the equipment resides. Forbidden Uses. UNDER NO CIRCUMSTANCE SHALL THE USER ACCESS OR ATTEMPT TO ACCESS NHC'S COMPUTER SYSTEM, COMPUTER NETWORK, OR ANY PART THEREOF FOR THE PURPOSE OF EXECUTING ANY OPERATION TO DEFRAUD OTHERS, COMMIT THEFT, OR VIOLATE ANY LOCAL, STATE, OR FEDERAL LAW. NHC reserves the right to terminate at its own discretion the User's use of this Web site or forbid the User from accessing this Web site in the future in the event of any abuse of the Web site or any unauthorized or forbidden use by the User. Use of Interactive Media. To the extent that this site contains or may contain electronic mail links, bulletin boards, discussion forums, chat rooms, or other message or communication facilities involving NHC and/or other users, the User agrees to use such forums in their intended manner. Under no circumstances shall the user violate any law by using such forums for purposes including but not limited to defaming or harassing others, violating intellectual property rights of NHC or a third party, posting or sending obscene or offensive material, and introducing viruses, corrupted files or other programs which could damage or alter this web site or the computers of NHC or a third party. NHC reserves the right to remove any contents of this Web site for any reason whatsoever. The User acknowledges that any material posted by parties other than NHC or its affiliates are not endorsed by NHC, and such communications shall not be considered reviewed or approved by NHC. New Holland Construction Machinery S.p.A., ("NHC") wishes to inform you that the personal data our Company has been provided with by you or has otherwise acquired within the scope of our activity, will be subject to processing carried out according to manual and/or computer methods, on the basis of principles of correctness, legality and transparency, and providing protection for your confidentiality and your rights as set out in Leg. D. no. 196 of 30 June, 2003 ("Personal data protection code"). c) certification that the operations described under a) and b) have been brought to the knowledge, including with regard to their content, of those who have been notified or informed of the data, except the case where this action proves to be impossible or leads to a use of means clearly disproportionate in relation to the right protected.